SALT LAKE CITY – Dec. 1, 2015 – Utah Attorney General Sean Reyes will support Utah’s Camp Kostopulos and partner ABC 4 Utah today in their Guinness World Record title attempt for “Most Live Concerts in 24 Hours (multiple cities)” done to raise funds for Camp Kostopulos and awareness for people with special needs. General Reyes will attend multiple Utah concerts in the series today. To meet the Guinness World Records criteria, Camp K will host a concert in 12 different cities, at 12 different venues in 24 hours to benefit the Kostopolus Dream Foundation. ABC 4 Utah has been chronicling the lead up and will cover the event. A bus and helicopter will be employed to transport the team in order to challenge the record. The concert series began last night, Nov. 30, 2015, in San Diego at 9p.m., and ends tonight in Salt Lake City, with concert stops also in St. George, Cedar City, Provo, Tooele, Logan, and Ogden, Utah. 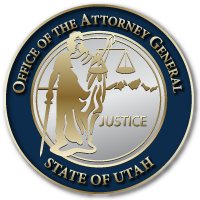 Attorney General Reyes will attend multiple concerts including the final concert, which will be held at the Grand Theatre at Salt Lake Community College at 9 p.m. (MST). Attorney General Reyes has shown ongoing support for Camp Kostopolus. Most recently, on Sept. 10, 2015, he met with families impacted by Prader Willi Syndrome as they took part in therapeutic recreation at the camp. On that same day, approximately 150 employees of the LDS church were on sight completing Camp K improvement projects.